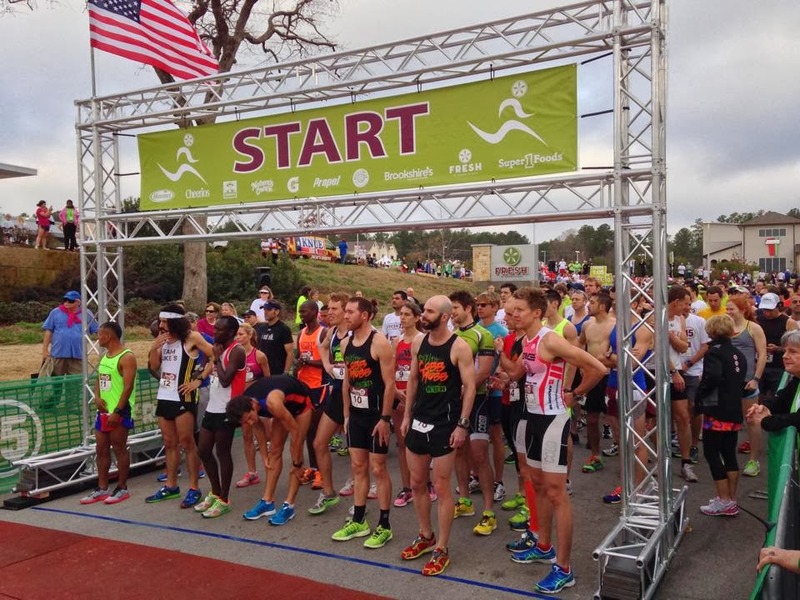 Yesterday's Fresh 15 race was probably the best experience I've had running a race in Tyler. 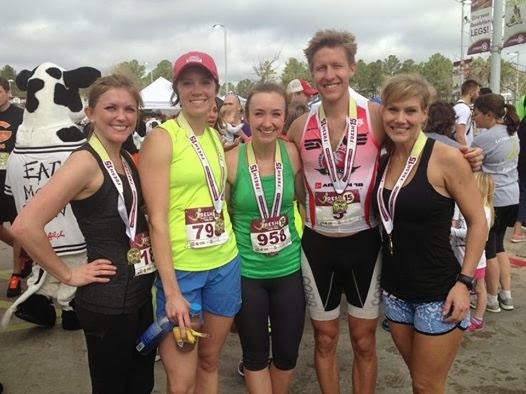 (Note, I said "running" because Steve Farris has put on some equally great triathlons). I simply cannot speak highly enough about the job that the folks at Brookshire's did yesterday. 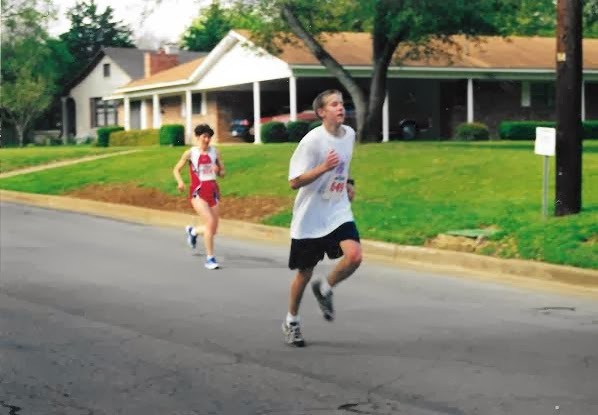 Well, the Azalea run is definitely not the same race that it used to be, and by the time I started running it in the mid-to-late '90s, it was already on the decline. So it's hard for me to compare the Fresh 15 to what the Azalea Run was in it's heyday, but I will go out on a limb and say that the Fresh 15 was even better. 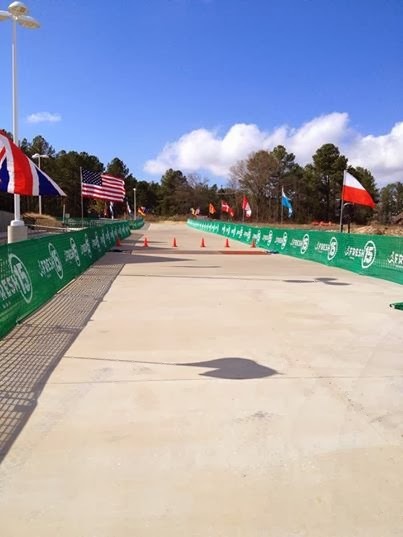 That would make it the best all-around best running race that has ever been put on in Tyler. When I showed up an hour before race start, the Fresh parking lot was already bustling with runners, volunteers, spectators and vendors. The masses of people were moving around in organized patterns because the layout was logical, and the signs and directions being spoken over the loud speaker were quite helpful. There were plenty of port-a-potties, which is also very important...there's nothing worse than waiting for 15 minutes, worrying if you'll be able to line-up in time...only to find that the port-a-potty is out of toilet paper. They did a good job herding everyone to the start line, gave a nice presentation of the elite athletes, and the race start went off without a hitch. The course itself was well marked, and aid stations were more than adequate. Overall, I'd say that the course was pretty hilly. I settled into about 8th place at the first mile (5:05 split). There was a lead group of about 4, and I picked up singles on the way to working my way up to 5th at about mile 2. 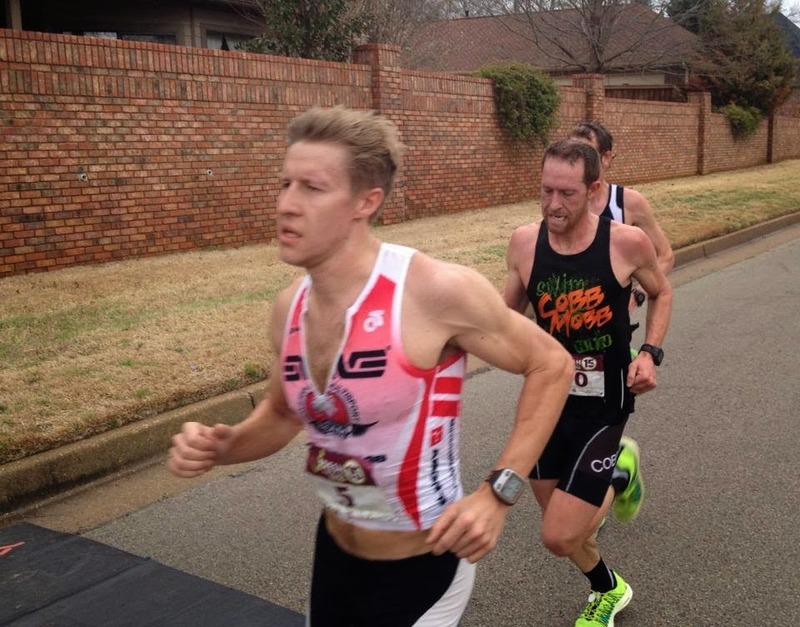 The lead group was killing it, consistently running 5 flat miles, so my friend and fellow triathlete Robbie Wade fell back and I caught him at the 5k mark. At that point we had just turned into the wind (south) and he needed a bit of a break after hanging with the dudes up front. So he drafted for a while, then we settled into a rotation. Into the wind, we were running about 5:20 miles, and one of the singles I passed caught us. So the 3 of us started our own pack, and we stuck together until the Dueling Oaks hill at about mile 8. At this point, the 15k and 5k courses merged, and we were running alongside the 5k runners. Danny Hayden and Kristen Blaise were leading on bikes, and announcing to everyone that "local runner Clay was coming!". So everyone we passed (and there was a very large 5k field) cheered for me!! I felt weird running in a pack of 3 when I was getting all the cheers, but lo and behold I had a gap at the top of Dueling Oaks! So I tried to hold the pace up with a mile to go, and carried a slight lead into the last hill. The other guy that caught us came around me at the bottom of the last hill, and he led until about 3/4 of the way up it. I chose that time to attack and hopefully drop him by the time I got to the top....it worked, but now I had to hold on to my lead. With about 500 yards to go, we rounded a corner and there was a part of the course I didn't know about - a nice little out-and-back on a steep hill! I figured the other guys didn't know about this either, and we're all dealing with about the same amount of pain at this point, so I just kept going as hard as I could...in the end I was able to hold on by 4 seconds, and finished 4th overall! So my view of this race may be a little skewed because I was pleased with the outcome... Still, the post-race food and concert were a blast. I guess Brookshire's has some pretty good stroke with food vendors (being a grocery store), because they had an incredible amount of post-race food! I filled up a paper grocery sack with all kinds of goodies, and ate El- Charro tacos and Jul's smoothies too. The only race I've been to that even compares to this kind of packaged food that you can take home with you is the Turkey Trot in Dallas....world class marathons don't even have this much food! And the concert and awards ceremony were great too. 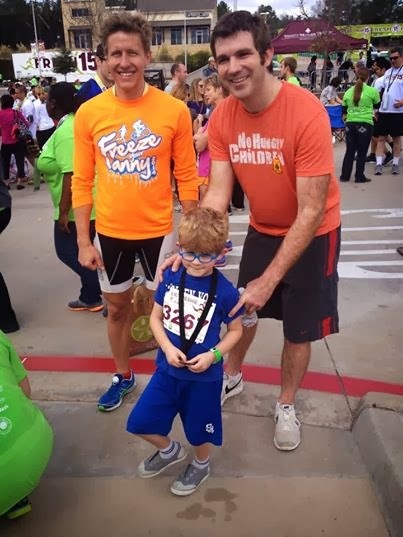 The kids 1k looked to be well attended, and Fresh seemed to do a lot for the little Freshies....my nephew (and future world-class runner/triathlete), Luke, got a pretty sweet shirt that he will be able to wear in a year or two. Kimberly and her GIRGS running group (girls in running gear...it's a long story) all had great races, and it seemed that other Tyler folks were very pleased with their races as well! I know Brookshire's went to great efforts to put this race on, and I really hope that they feel it was worth it and continue to do this race in the future. 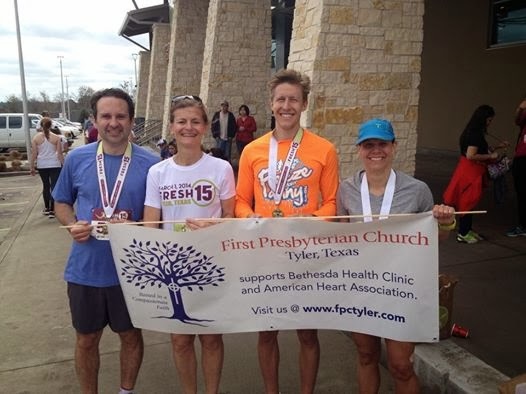 To top it all off, proceeds from the race went to 2 great organizations - Tyler's Bethesda Clinic, and the American Heart Association. 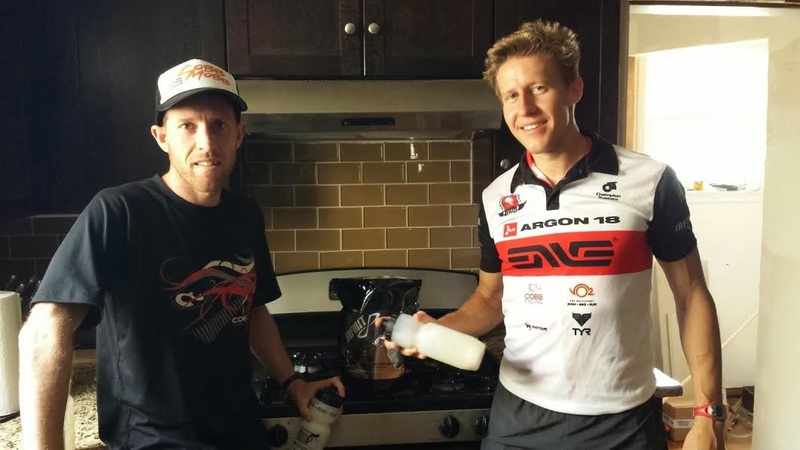 The Fresh 15 wasn't all the excitement I had this weekend...2 professional triathletes that work with Cobb Cycling (Robbie Wade and Ben Collins) came in town, and are staying with me for a few days. I've been able to work out with them a couple times already, and am looking forward to a few more workouts! 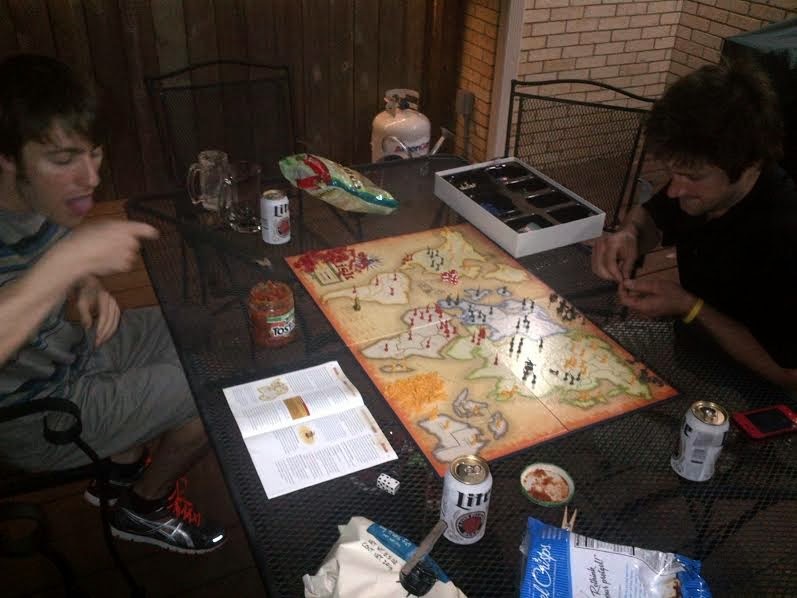 Robbie tried out Infinit Nutrition for the first time...and liked it! 1 John 4:9-11 "9 This is how God showed his love among us: He sent his one and only Son into the world that we might live through him. 10 This is love: not that we loved God, but that he loved us and sent his Son as an atoning sacrifice for our sins. 11 Dear friends, since God so loved us, we also ought to love one another."